Touchstone Measurement Services has the ability to create 3D CAD data using both 3D scanning methods, as well as conventional methods. Combining our state of the art inspection equipment, our laser scanning ability, and our top-grade design software, we can create 3D CAD data for a variety of different parts. Here at Touchstone we are fully aware that every job we do is for a different application. We will communicate throughout the entire reverse engineering process and deliver exactly what our customer needs. Whether it is an exact replica or to engineer’s intent, we will work with you to provide the best possible solution. When a customer needs to perform finite element analysis (FEA) or Computational Fluid Dynamics, (CFD) usually an exact replica of the physical part is required. When a part is going to be reproduced we will generate a CAD Model to engineer’s intent. In a perfect world the physical part would already be made exactly to engineer’s intent, but we realize this is hardly ever the case. Using CMM’s to verify small detailed dimensions, laser scanning for large organic shapes, and communication with our customer for intended design, we will get our customer exactly what they need. 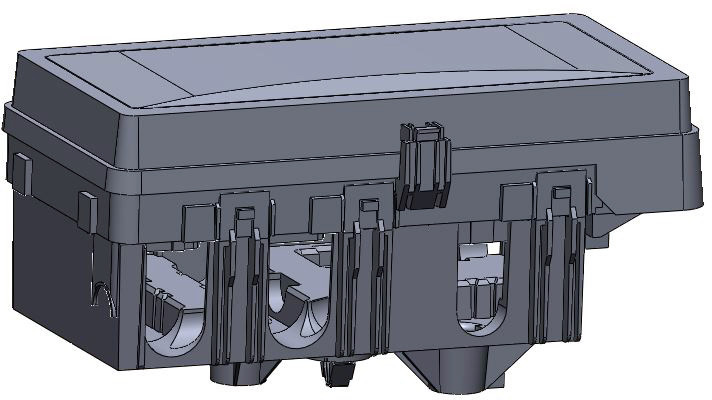 Using top-notch software when it comes to converting scans into CAD models, Touchstone can create an accurate CAD model out of almost anything. Throughout the entire design process Geomagic Design X allows us to compare our CAD model back to the original scan. 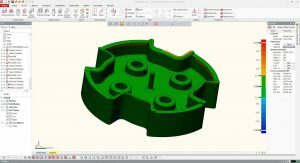 This assures that your CAD data is within a specified tolerance from the physical part.